I must have been the last person in the blogging world to try out the Maybelline colour tattoos but what stopped me was the colour range. Yes they have a good amount of colours but none of them actually appealed to me until I saw this one. 'Pink Gold' has to be the most gorgeous eyeshadow I have ever laid my eyes on and so as soon as I seen it I knew I had to get it straight away! This is definitely the longest lasting eyeshadow I have ever owned even without primer. 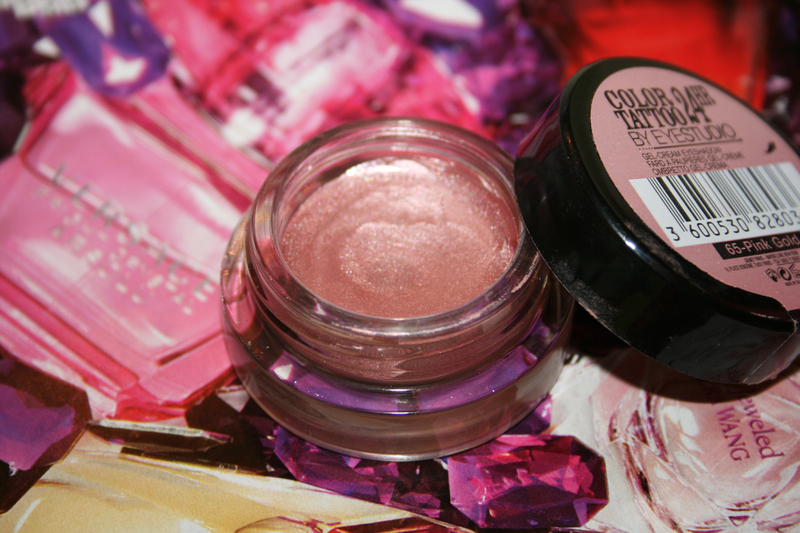 It's so creamy and you can just apply it with your finger or a brush and it just glides on. What I also love about this product is how buildable it is. 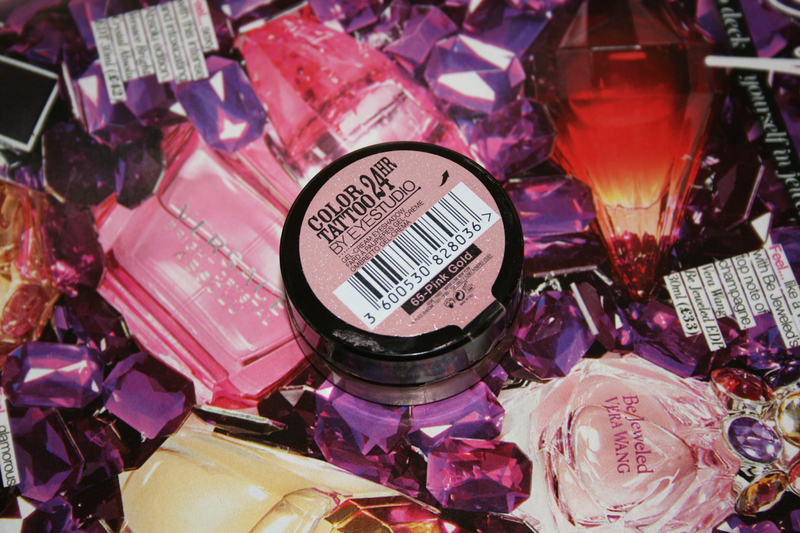 You can just add one layer of it for a hint of the colour or you can layer it for a more intense pigment but either way its gorgeous no matter how many layers you apply. When I picked this up I had no idea how I was going to wear it because any kind of pink eyeshadow was not something I had tried before but I decided it would be gorgeous on it's own smoked out so I convinced myself to buy it then. When I got home I tried it out straight away and having it just on it's own was lovely but just was too plain for what I normally do so I had a rummage in my drawer of eyeshadows and re-discovered the Naked 3 and the tones couldn't have matched it better! So since getting this all I have been wearing is this with a combo of some Naked 3 shades. I won't go into detail because thats a whole other post but the shadows I pair with this are Limit, Nooner and Black Heart. I have yet to go into Boots and have time to look around as the last few visits have been quick ones but I definitely want to go back and have a look at the other colours to see if they appeal to me, now that I know how good they are. They are in Boots for €7.49 and because Boots often do 3 for 2 this would definitely be a great deal to stock up on some of these amazing shadows. Do let me know if there are any shades you would recommend that I should have a look for! Have you tried any of the Colour Tattoos? I tried these eye shadows and loved them! As you mentioned, they are very long-lasting. Also, it is easy to apply them - I just use my finger - it takes just a couple of seconds. Great makeup products! 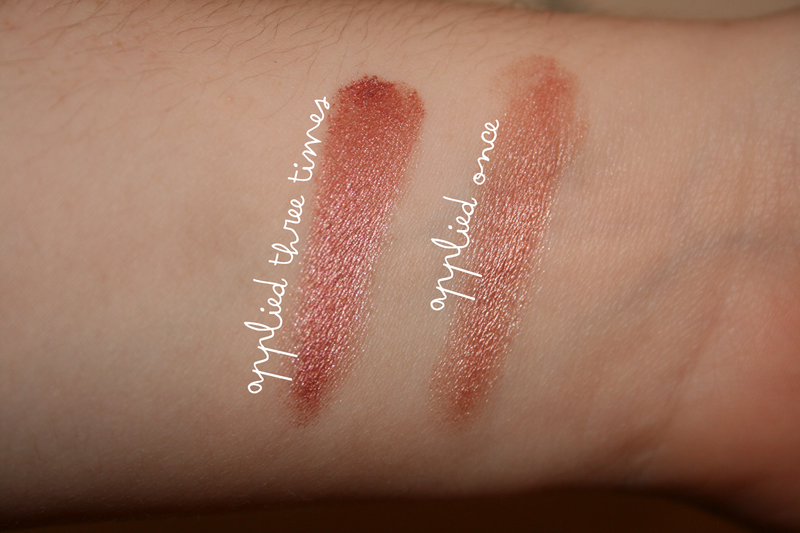 I love the Maybelline colour attoos, and the pink gold is gorgeous. Although I wear On and On Bronze more.